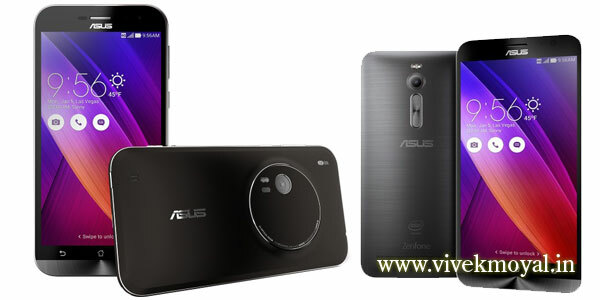 At CES 2015 Asus has launched its 2 smartphone Asus ZenFone 2 and Asus ZenFone Zoom till 07 Jan. Now Asus came with smartphone with Optical Zoom option which will provide you the best picture quality on zoom too. Its a best smartphone for photographers available in the market after the Samsung Galaxy K Zoom. Asus ZenFone Zoom is providing 13MP rear camera with 3X optical zoom and 5MP front camera. For those who are interested in the photography this is best new year gift from Asus. It will be available from 2nd quarter at a price of $399 (Rs 25000 approx).